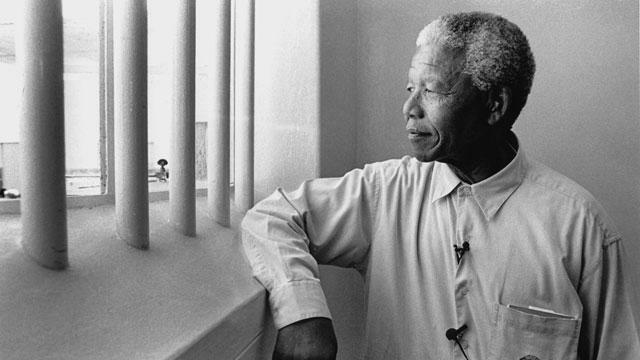 The next time you think to yourself, “What can one person do?” remember Nelson Mandela. This entry was posted on December 5, 2013 at 4:56 pm and is filed under Absent friends, Agitprop, Bad news. You can follow any responses to this entry through the RSS 2.0 feed. You can leave a response, or trackback from your own site. A man A giant. I wish we had one. can you imagine being imprisoned in 8×8 cell for 27yrs ?? AND NOT BEING ABLE TO RIDE YOUR BIKE?? I would be nuts in a week or less. A true giant of a human being. Let his life and legacy be an inspiration to we mere mortals to strive beyond ourselves for fairness and justice. There is a special kind of person who can be a Gandhi, ML King, or Mandela. More Christ-like than most of us in being able to turn the other cheek and keep the eyes on the goal. Too bad we had him on the terrorist list until 2008. With this government, it wouldn’t surprise me if they put Pope Francis on the terrorist watch list. He’s getting to be way too much of one of those firebrand liberation theologists. faux news is already on the pope’s case. I don’t watch faux news, saw it on Jon Stewart. Not surprised. As I joked to my vet last week while having the dog looked at, he and I can now pull our copies of Guiterrez and Boff out of hiding without worrying about the Inquisition coming for us. Rush Lamebaugh called him a Marxist. I’d take that as a complement. 95 years old. Seems that Nelson Mandela would have been assassinated in the good ole USA long before that age. Just think of JFK, MLK, and RFK. in the direction of the shore.